I remember when the WHY Pink Floyd campaign started. I said : "alright! let's do this!" I bought the Immersive set of Dark Side of the Moon. And stopped there... WYWH box didn't have the documentary video (which I did get later on) and had the same props (which I wasn't really interested in, not twice). I ended up listening to the demos and live versions once or twice. Didn't buy the Discovery box set, cause I was sure if I wanted to spend more on albums I already had or I didn't want to listen to anyway (it's hard loving EVERYTHING they did). So now I have all the albums in my Apple Music account.... Easy access. Maybe the next next boxset I will buy them. Or just a book. I don't want cds. Anybody have this one? 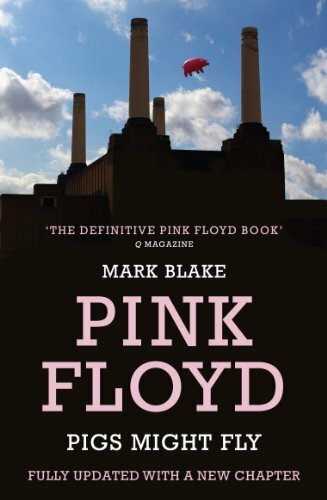 https://www.amazon.com/Pink-Floyd-Al...dp/031643924X/ Or recommend a good one? I only have Inside Out. So Roger Waters Us+Them Live could be released in Bluray and in theater later this year. But the news was announced on April 1st. I trust no one on that day. It was posted today (April 2nd) on brain damage, maybe you saw it on the 1st due to time zone difference? Last edited by fillow; 04-02-2019 at 12:18 PM. I picked up the RSD edition of A Saucerful of Secrets remastered from the original MONO mix. Sounds phenomenal, I love this album so much! Really psyched to hear Nick Mason's band play stuff from it tomorrow night. Also, there's probably gonna be a live album from this tour. I hope they film for a DVD/Blu as the stage setup looks fantastic, but I will absolutely settle for an album.